The advent of the third season of the AFLW has precipitated the usual debates about ‘quality’ and ‘standard’ of footy. The increase in number of teams – with Geelong and North Melbourne joining – has seen a broadening of the pool of players. Some come from basketball, netball and association football backgrounds. The players’ jumpers have had their designs improved and are distinct from those of their male counterparts.The euphoria of the first season has passed and a steady fan base is building. The opening weekend of AFLW provided fodder for those who both support and reject the AFLW. 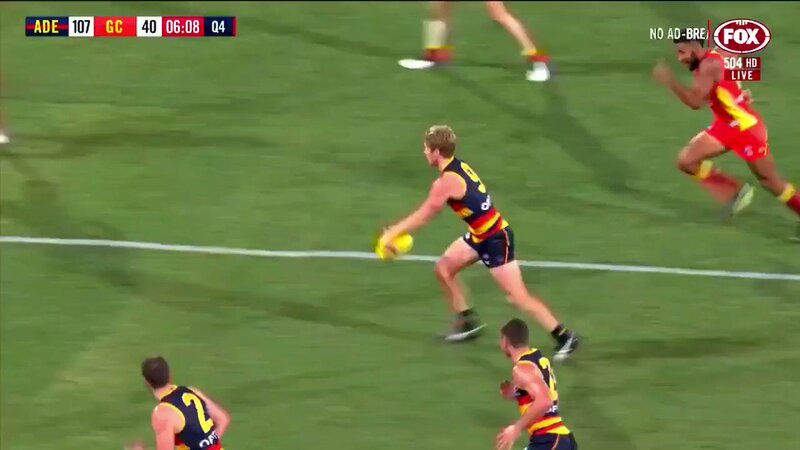 The Adelaide-Bulldogs and the Geelong-Collingwood games were low scoring: proof enough for the nay-sayers that the players were lacking skill. For the enthusiasts of the AFLW, there were higher than expected attendances at the aforementioned games. The second week provided a more convincing weekend for the advocates, against a backdrop of social media negativity. The AFL and Channel 7 weren’t quite in agreement about how best to go about confronting this discontent. 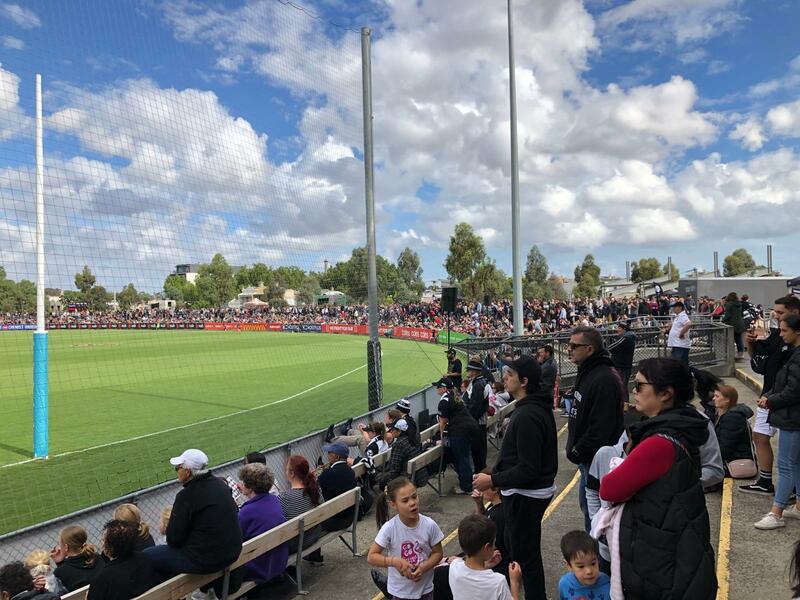 One of the less highlighted virtues of the AFLW is the prominence it gives to the old and neglected stadia such as Norwood’s “The Parade”, Carlton’s “Princes Park” and North Hobart Oval in Tasmania. These stadia are part of the rich fabric of footy’s cultural heritage and watching games there (either on television or first hand) is a reminder of the game’s tradition. These stadia need to be maintained, protected and used in order to balance the proliferation of generic and multipurpose stadia such as Docklands and Perth Stadium. 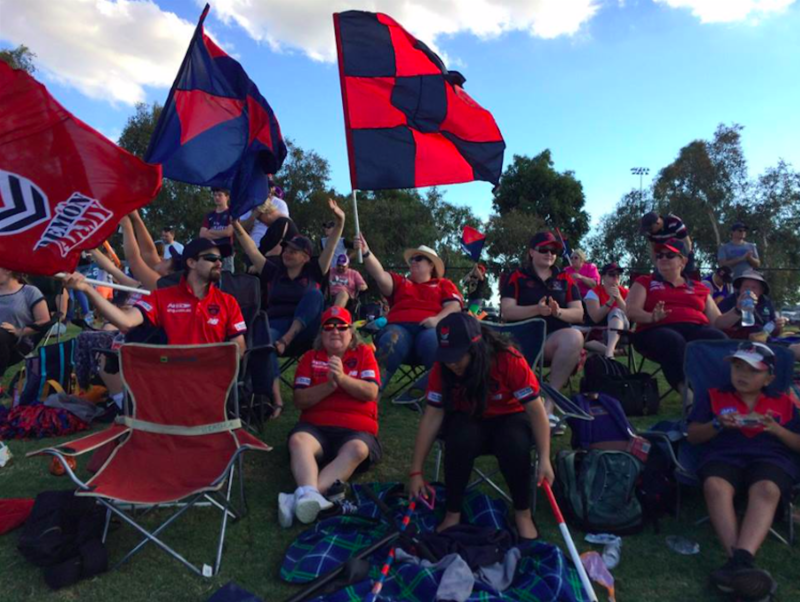 In this brief article we speak with a few footy fans who are supportive of women’s footy, yet, also realise there are some things still lacking. Like conversations about men’s footy, there is much to agree on and disagree on. Passionate conversations, imbued with conviction, are the norm. The mere introduction of ‘AFLW’ hasn’t facilitated a general state of gendered equality. Instead it has fostered further debates about the role footy and sports play in our lives and how we enjoy them. 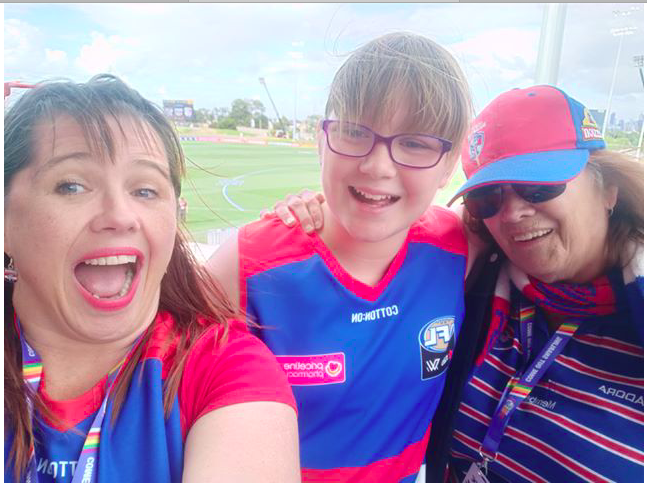 Ness Gemmell (pictured left with Jess and Jude) has followed and been a contributor to women’s footy since well before the AFL got on board with the founding of the AFLW. Ness is a committed Doggies fan and loves the AFLW for the atmosphere and quality of games. Joel Hardy, a former amateur footy player who has played Australian Rules in the States is less than impressed with the rush to semi-professionalisation of the women’s league. Living in Karratha in northern Western Australia he hasn’t been able to get to any of the women’s games, but he watches the games on the TV. He’s a Swan Districts in the WAFL and Collingwood fan in the AFL and is optimistic that some time down the track, when proper investment is made in the women’s league, the AFLW will be of a better standard. Suzanne Considine is a long-term Melbourne fan. She quickly got behind the Melbourne women’s team in their early stages of formation. Suzanne is a Cheer Squad co-ordinator for the men’s team and has used her network to also establish a consistent and strong cheer squad for the Melbourne women’s team. “The AFL can improve the integrity of the competition through giving a greater spotlight to the AFLW Grand Final. This year, the Preliminary Finals of the AFLW will be held during Round 1 of the AFL Men’s and the Grand Final during Round 2. These games should be attracting the greatest amount of media attention, but, instead, they’ll be swamped by the attention that is always given to any of the men’s games. To belittle the value of the women’s game for reasons of skill and quality, which come from our selected viewing (and memories) of the men’s game – which has been professionalised to within-an-inch of its life, is to misread the trajectory of the men’s game and to perpetuate a narrow interpretation of the value of footy specifically and sport more generally. Women’s footy is not a poor imitation of the men’s game. It has its own distinct set of rhythms, patterns, tactics and trajectory. Like any game or sport worth its salt, Australian rules football has a set of basic qualities and rules which are then endlessly re-created with variation after variation after variation. That is what keeps us coming back for more: whether it is the elite men’s game, the elite women’s game, or those games which feature our friends, children or our local suburban club. *Written by Andy Fuller, AFLFA. With thanks to: Ness Gemmell, Suzanne Considine and Joel Hardy. Photo of ‘Demon Army’ courtesy of Suzanne Considine. Photo of the crowd at Victoria Park thanks to Cheryl Critchley. Error: Error validating access token: Session has expired on Tuesday, 14-Aug-18 19:21:14 PDT. The current time is Sunday, 21-Apr-19 07:29:46 PDT.